The devil may wear Prada, but does he own an LG Prada phone? The handset with the design house's name has been part of the old chicken-egg controversy with the Apple iPhone. LG executives have claimed that the design of the iconic Apple smartphone was copied after the LG Prada won the iF design award in September 2006. Regardless of what the real story is, the LG Prada has a place in the history of the touchscreen phone. 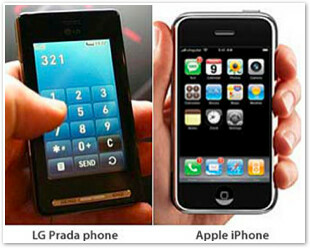 And certainly there have been changes since the OG LG Prada was launched in 2007. The original version of the LG Prada was a featurephone as was the LG Prada II, released in 2008. It wasn't until the current iteration of the phone was launched that LG decided to turn the Prada into a full-fledged smartphone. The LG Prada 3.0 was installed with Android 2.3.7 when it was launched by T-Mobile U.K. this past February. Now, those with the phone in Germany and Italy are receiving the Android 4.0 update. Unfortunately, this is not one of those simple OTA updates. You will need to plug your Prada 3.0 into a Windows PC and use the LG Mobile Phone Support tool that is available for only a Windows PC. That means if you own a Mac, you will need to find a Windows PC to use.After a few minutes, your Prada 3.0 will be updated with all of your stored data intact. 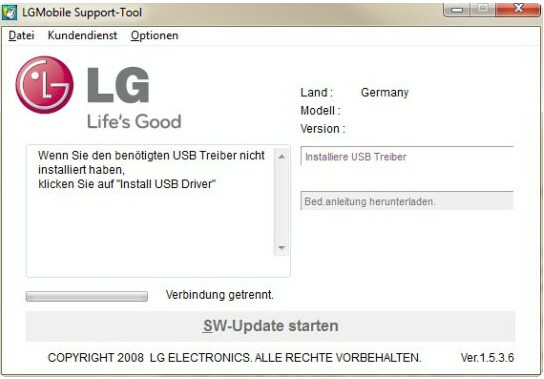 LG does suggest backing up your info before starting the update. For directions on how to download the Android 4.0 update on your LG Prada 3.0, click on the sourcelink. There's absolutely zero doubt Apple copied the design of the original Leads with the iPhone. The design was released (and won a design award) the year before the iPhone was released. Steve Jobs got all "great artist" on the Prada. Ice Cream Sandwich is awesome it have an autosync and autoupdate.